There is so much to do around Perth with the kids and being such a beautiful part of the world means many great days can be had for free. Perth’s coastline is arguably one of the best in the world. There are hundreds of stunning white sandy beaches with crystal clear waters that line the Western Australian coastline. Hillarys is a very popular choice for families with small children. This perfect little man-made beach is an ideal spot for the kids to play safely in the water without any current. There’s a pontoon with slides further out, which is great for the older kids and a playground and grassy areas with barbeques situated around the beach, making it a perfect spot for a picnic. As this beach is situated within the marina, there are many restaurants, cafés and ice cream shops surrounding the beach that are all within easy reach. Mullaloo is a stunning stretch of beach and an ideal spot for families and those who like to body board. The beach is patrolled by lifeguards during the summer months and it also has a café. Two playgrounds are situated above the beach on a large grassy open space with many barbeque facilities. This is a great spot to watch WA’s famous sunsets! Beaches surrounded by reefs are great for snorkelling and crabbing and very popular choices for families. 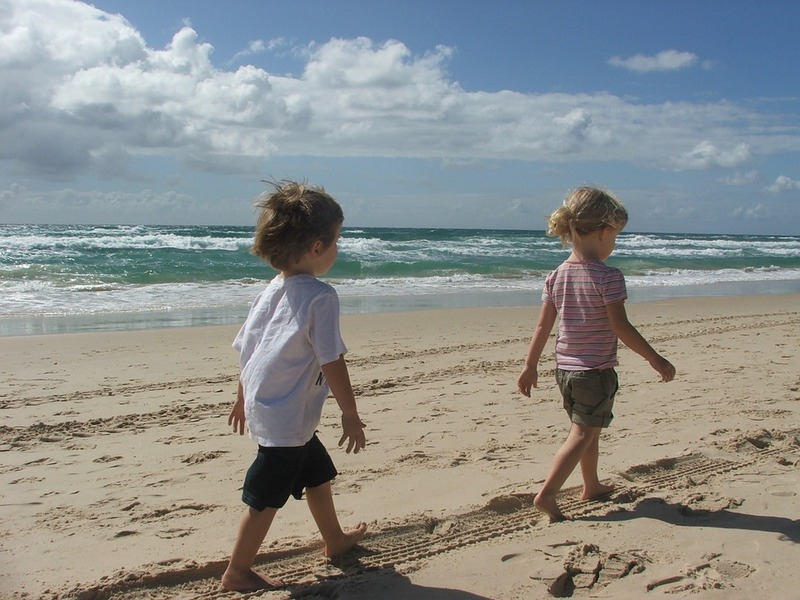 Yanchep Lagoon, Mettam’s Pool in Trigg and Woodman Point in Munster, are just a few popular family-friendly choices. Shoalwater Bay in Rockingham, 45 minutes south of Perth, is great for young snorkellers and swimmers due to its shallow waters. You can even get the chance to swim with wild dolphins with Rockingham Wild Encounters (www. rockinghamwildencounters.com.au) as its boats cruise the surrounding sheltered bays and islands. It is the most amazing experience for all ages! Take a short ferry ride from Rockingham across to Penguin Island. The star attraction is of course the little penguin, which is the smallest species in the world. The island and marine park abounds with wildlife, including wild dolphins, sea lions, stingrays, pelicans, kings skinks and over 50 species of sea birds. Again, you can book a trip with Rockingham Wild Encounters (www. rockinghamwildencounters.com. au). Days out by the Swan River are a very popular choice for families. Some great spots include Point Walter, situated in Bicton, a great little spot for swimming in the river and having a play. The kids love the sand spit that runs part way through the river. Take a picnic or visit the café for lunch. Matilda Bay is another stunning spot. You can also hire paddleboards and kayaks and take a trip up the river. There are so many great parks and open spaces in Perth. Faulkner Park in Belmont, also known as Volcano Park, due to its large volcano in the middle is a great park for all ages. Rotary Park in Wanneroo is a large playground loved by all ages. Heathcote Reserve situated high up on the hill in Applecross offers spectacular views across the city. Let the kids run wild on the large wooden pirate ship while you enjoy a coffee in the café. Kings Park is one of the largest inner city parks in the world. It is surrounded by stunning views of the Swan River and Perth city. There are various playgrounds throughout the park, including Stickybeaks playground and Synergy Park – that has dinosaurs to climb on, a treetop walk and an area where kids can make dens, play in the rocky stream and get ‘at one’ with nature. Situated within Perth Hills in the shire of Mundaring, Lake Leschenaultia is a dam with a sandy beach on each side. There is a great playground with picnic and barbeque facilities. There’s also a café open on weekends and school holidays. Entrance to the lake is free. You are also able to camp here for a small cost. Yanchep National Park is a stunning place of natural beauty. For a small entrance fee of A$12 per car or a A$25 for a yearly pass you can barbeque with the kangaroos, take a walk around the lake, enjoy dinner and drinks at the Yanchep Inn and walk through the koala enclosure. It’s a good idea to head to the enclosure at dusk – koalas sleep 18 hours per day so you are more likely to see the koalas awake and feeding in the trees. You can explore the stunning crystal caves for an extra cost. There is also a café and gift shop within the park. See all the native animals at Caversham Wildlife Park (www. cavershamwildlife.com.au). Stroke a koala, hand-feed the kangaroos; have your photo taken with a wombat and take part in the interactive farm show. There’s so much to see and do, making it a great day out for all the family. Cuddly Animal Farm in the Swan Valley is a great little farm for younger children. Kids can hold and feed the little animals, such as guinea pigs and rabbits. You can also feed the lambs their milk and take a tractor ride around the farm. Supa Golf (www.supagolf.com) in the Swan Valley is great fun. You can play nine or 18 holes of golf with large golf clubs with oversized heads and oversized balls. It’s perfect for children aged six years up. They also have the Adventure Putt mini golf, perfect for children aged two years up. Grab a bite to eat at The Laughin Barrel Restaurant and Winery in the Swan Valley (www. thelaughinbarrel.com.au). Kids can put on their own chef’s hat and apron and make their own pizzas then enjoy the outdoor play area set amongst their own vineyard. Finish off with a trip to Oggies Ice Cream, a lovely little café with an outdoor play area, offering some of the best ice cream in Perth! Or head to the Margaret River Chocolate Company factory (chocolatefactory.com.au) and sample their delicious chocolates. Perth Zoo (perthzoo.wa.gov.au) is a fantastic place for the whole family. Discover the many different animals from all corners of the globe. Get up-close and personal on one of the many eye-to-eye encounters they have or you can even be a zookeeper for the day. This is every kid’s dream theme park! Adventure World (adventureworld.net.au) is seasonal, so it’s open for seven months of the year. The park includes water slides and rides for all levels of thrill seekers, including the tallest, steepest, funnel water slide on the planet – The Kraken. There are fast rides for the adrenaline junkies and something for the little ones in ‘Dragon’s Kingdom’. The Maze in Bullsbrook is a fantastic park for all ages. Make your way through the Hedge or Timber maze without getting lost, or try your hand at one of their brainteaser mazes. They also have mini golf, a children’s playground and a large jumping pillow. The Maze (www.themaze.com. 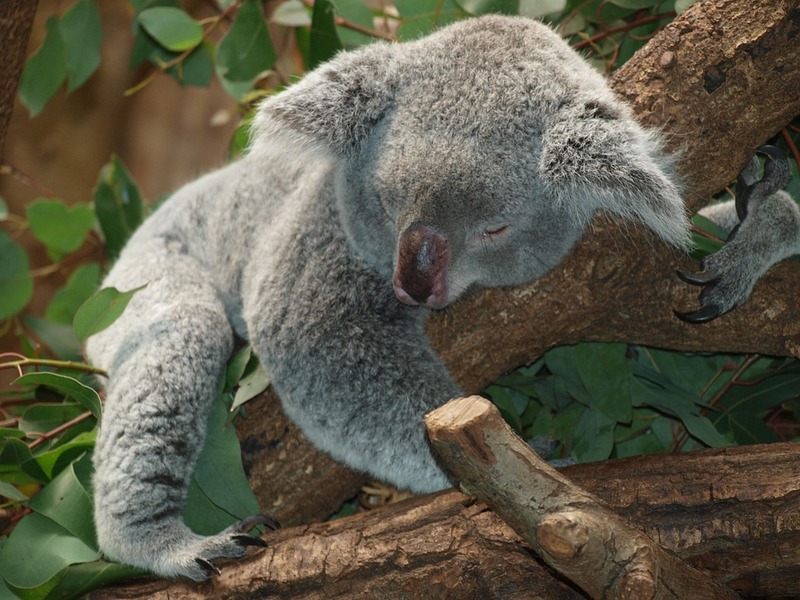 au) is home to some native animals, including koalas, kangaroos and emus. There is also ‘Outback Splash’, a waterslide playground that is the perfect place to cool off on a hot day! Open from September to April only. The Western Australian Museum is the State’s premier cultural organisation, housing WA’s scientific and cultural collection. Kids can get hands-on in the Discovery Centre and learn about the amazing animals that inhabit Western Australia’s vast deserts, towering forests and sun-bathed reefs. Perched on the Indian Ocean’s shore, the Western Australian Maritime Museum is symbolic of Fremantle’s past, present and future as a coastal city and port. The Museum houses several unique galleries that explore WA’s relationship with the sea. From leisure boats and handcrafted sailing boats to commercial pearl luggers, the Museum inspires visitors to discover WA’s affinity with the ocean. Take the kids through a world of science, technology, engineering and maths at Scitech (www. scitech.org.au), an interactive discovery centre. The centre’s features regularly change, making it a place to visit again and again. Scitech showcases two or more themed, highly interactive exhibitions each year. Visit the 180-degree dome planetarium or the younger ones can head to the puppet theatre to experience science through story telling. The Aquarium of Western Australia (www.aqwa.com.au) in Hillarys Harbour is a real kids favourite. Explore 12,000 kilometres of WA coastline all in one place. Travel beneath three million litres of Indian Ocean water as you have a close encounter with four-metre sharks, huge stingrays, turtles and hundreds of stunning fish. Galaxy Drive-In Theatre (galaxydrivein.com.au) is Perth’s only drive-in movies. You can enjoy all the latest movies under the stars. Pack your car boot with duvets and pillows and snuggle down for a movie. Hot food can be purchased at the café or bring along your own. Sarah Tester lives in Perth with her husband and their three children, Billy (10), Daisy (7) and Poppy (18 months), since moving there five years ago. Sarah is director of A Piece of Perth, a service which helps migrants with their relocation to Perth. Visit www.apieceofperth.com for more information or follow on Instagram @apieceofperth.